ADMIRALTY e-Navigator brings world-leading ADMIRALTY Nautical Products & Services together in a single integrated system, making them easier to use and manage than ever before. Used by some of the world's major shipping fleets, this powerful tool helps bridge officers plan safe routes, simplify essential tasks and frees them up to spend more time on other important duties. Planning Station - A powerful back-of-bridge PC application that allows users to view, order and manage world-leading ADMIRALTY Nautical Products & Services on board. Planning Station brings together a set of powerful voyage-planning tools to support safe and compliant navigation. These include an integrated ADMIRALTY digital catalogue, a chart and publication holdings management and updating service, and an enhanced viewer for ADMIRALTY digital products. Bridge officers can overlay and view world-leading navigational information on one screen. Navigators can also apply the ADMIRALTY Information Overlay to ENCs within Planning Station, making it easier to plan voyages and view intended routes in detail. 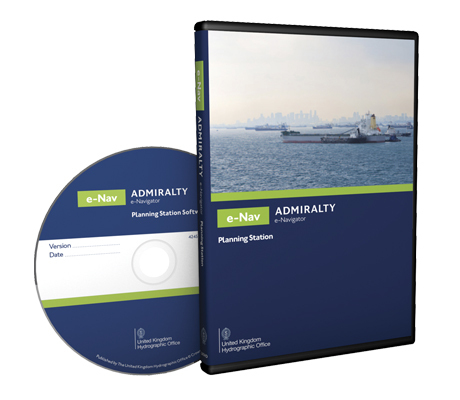 Your crews can order charts and publications required for a specific voyage from a catalogue of ADMIRALTY Nautical Products & Services, cutting costs and freeing up time to spend on other important duties. With ADMIRALTY digital products and services, permits can be ordered and received immediately. Planning Station can receive electronic updates for ADMIRALTY digital products by internet download, email or disc, which can be applied quickly and accurately, with minimal human effort. In addition, it is easy to export information to the ECDIS. Planning Station also makes it easier to hand over incomplete passage-planning tasks between crew rotations. Fleet Manager is a web-based management tool for ADMIRALTY Nautical Products & Services, designed to reduce onshore administrative tasks, maintain cost control and help ensure carriage compliance at all times. Check your ships have complete coverage for intended routes by remotely monitoring ADMIRALTY navigational charts and reference publications held on board. Chart permits for ADMIRALTY digital products can also be sent almost immediately after any order is placed, helping you to ensure your fleet meets the carriage requirements of SOLAS Chapter V.
It is easy to order ADMIRALTY Nautical Products & Services, either by creating orders ashore or approving those received from your ships. To cut down further on administration, you can view and order charts and publications by area, position or intended route.